Key Log Rolling is now available at California State University, Northridge. Photo by David J. Hawkins. Balancing on the Key Log offers a challenging workout. Photo by David J. Hawkins. Training flaps can be added to the Key Log to make balancing easier. Photo by David J. Hawkins. Key Log Rolling is available to SRC members year-round at the SRC Rec Pool. Photo by David J. Hawkins. Ryan Hairapetian, California State University, Northridge Aquatics coordinator. Photo by David J. Hawkins. You may have seen it on sports entertainment competitions or in cartoons: two people running on a cedar log trying to stay on the longest. The sport of log rolling, stemming from lumberjacks driving logs down the river, has grown to become a national trend among students with the increasing popularity of collegiate competitions. When California State University, Northridge Aquatics coordinator Ryan Hairapetian was introduced to Key Log Rolling at a convention he knew he had to bring it to CSUN’s Student Recreation Center (SRC). In Key Log Rolling the goal is to walk on the 65-pound synthetic log while keeping your balance longer than your opponent. Even practicing individually offers a great full body workout. 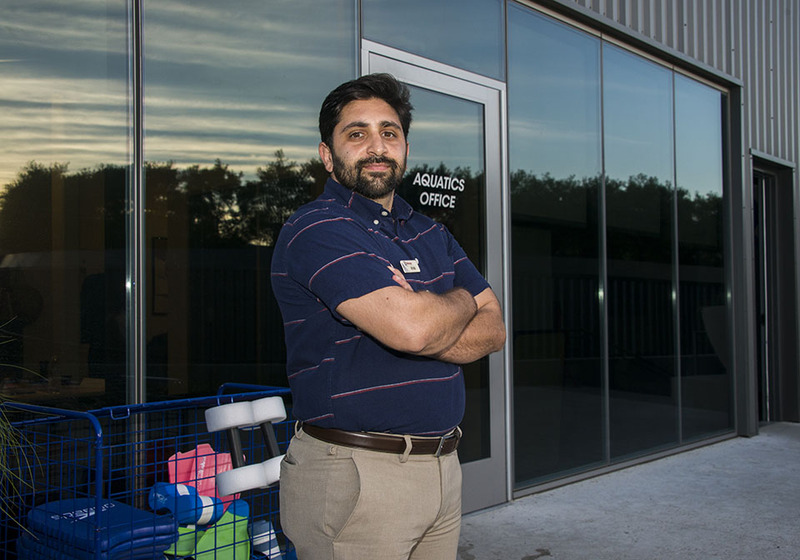 “If it’s your first time you will definitely feel sore after,” Hairapetian said. As SRC lifeguard and Mathematics freshman Carlos Quinteros experienced, staying on the log is no easy feat. “The hardest thing is balance, you’ve got to know how to balance,” said Quinteros. To help new log rollers, the SRC provides training flaps which slow down the log and make balancing a bit easier. The Key Log Roller is available at the heated SRC Recreational Pool for SRC members to practice year-round. There is no appointed Key Log Rolling instructor at this time, but SRC lifeguards are available to help students properly use the Key Log device. Quinteros says the log rolling is a fun challenge and encourages everyone interested to come out and do it. “It’s addicting; you always want to be better at it so you just get on it again,” he said. 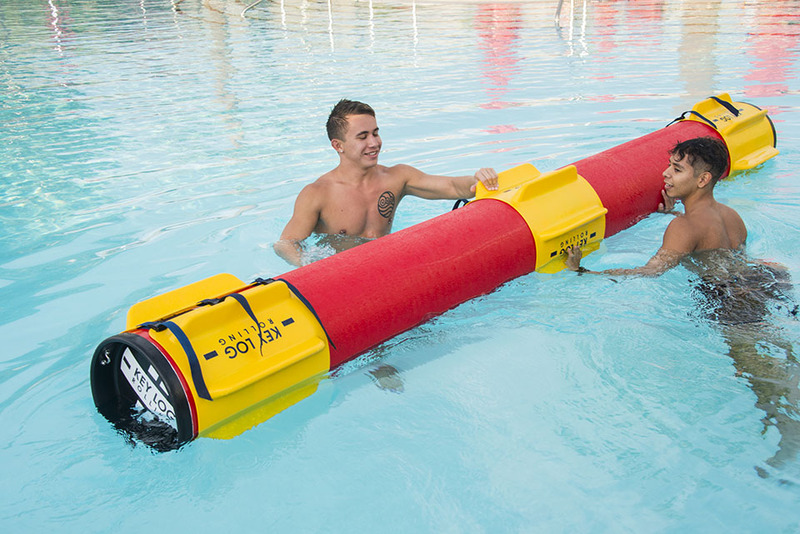 Key Log Rolling is available at the SRC Rec Pool every Monday, Wednesday and Friday from 3 to 6 p.m. For more information, visit the CSUN Aquatics website: https://www.csun.edu/src/aquatics.